I address similar BUIS to my precision 20″ AR15 but they were standard Yankee Hill sights on Midwest Industries 45* adapters. 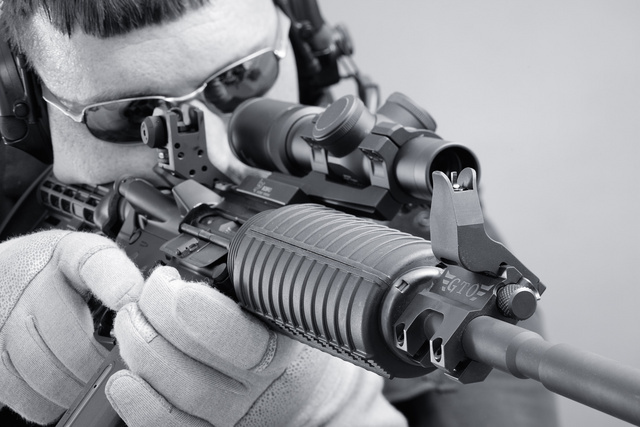 Dueck sights come with their own mounts and this solution is a little more streamlined. On the other hand, YHM sights can also be used without any offset. The rifle is CORE15. This entry was posted in rifle and tagged 223, AR15, BUIS, piston. Bookmark the permalink. The problem I see is putting the ejection port closer to your face, which is particularly bad when running suppressed. Agreed — but the sights are reversible to left side if you prefer them away from the ejection port. have a link to those adapters? Awesome Photo! Added a link on the Dueck Defense FB page..